I had way too much going on the day before the race. Do not try this at home kids. 6:30am - 3:00pm - Worked. 4:00pm - 5:00pm - Pickup kids and pack for the weekend. 5:00pm - 7:00pm - Mrs. Speedypants' company Christmas party. 7:00pm - 9:00pm - Co-worker going away party. 9:00pm - 12:00am - Finish packing and nap until Mrs. Speedypants gets off work. 12:30am -2:00am - Drive to Las Vegas, I nap in the car while awesome spouse drives. 2:00am - 3:00am - Check into Hotel and then go to sleep. 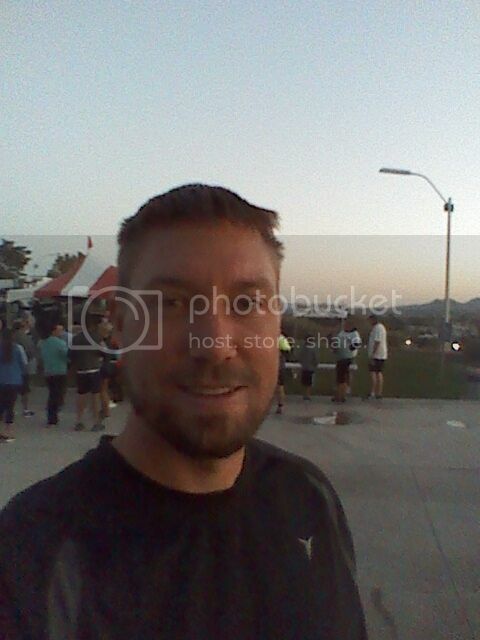 6:30am - Wake up to get ready for Marathon. I had read that the sleep and rest you get in the week leading up to your race is more important than the night of. I definitely was hoping that it was true. We arrived at 7:30am and since the race doesn't start till 8am I had time to pickup my race packet and do a little stretching. It was a little on the chilly side waiting around for the start of the race but I knew that I would warm up real quick as soon as I would start running. It had been windy on the drive to the race which had me a little worried because if there is one weather element that I despise running in, it's the wind. But luckily for me it ended up being a non-issue because the hills and mountains we were running up and through blocked all the wind. The course is an out and back 13.1 mile course and so I would be doing it twice. The course and views were so amazing that I really did not mind doing the route twice. 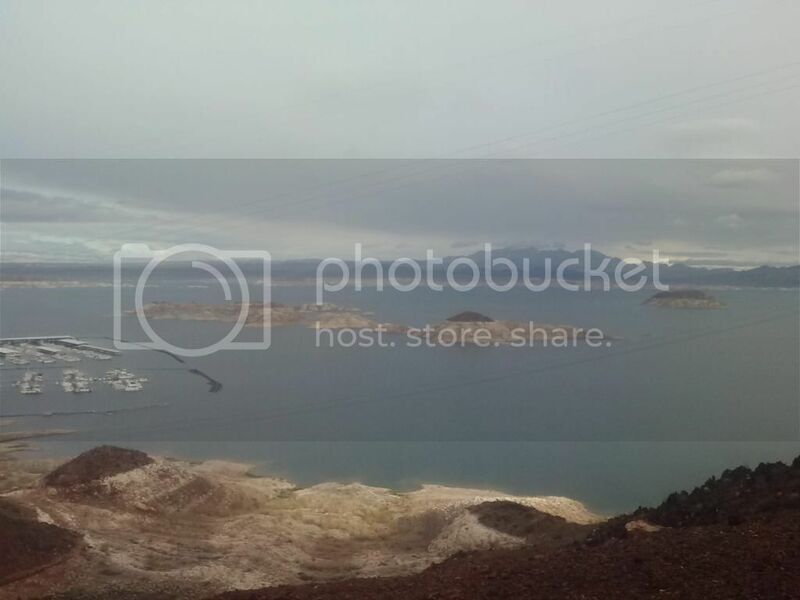 View of Lake Mead with perfect weather. Miles 0 - 5: This is all uphill. It didn't look like much on the elevation chart but it really is a significant climb. 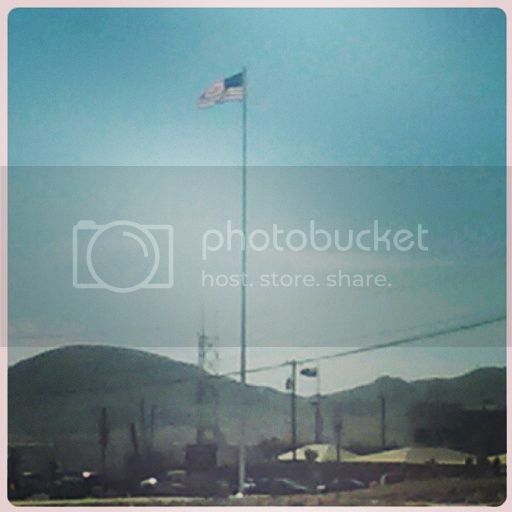 The good thing about all the climbing is the views of Lake Mead and the surrounding mountains that you get to witness. 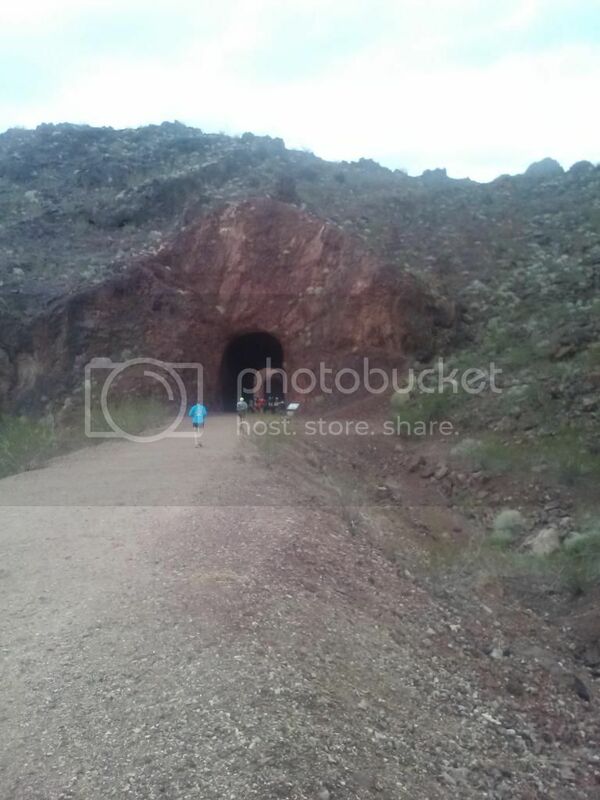 Much of the course follows an old railroad trail so you get to go through several tunnels carved in the mountainside. 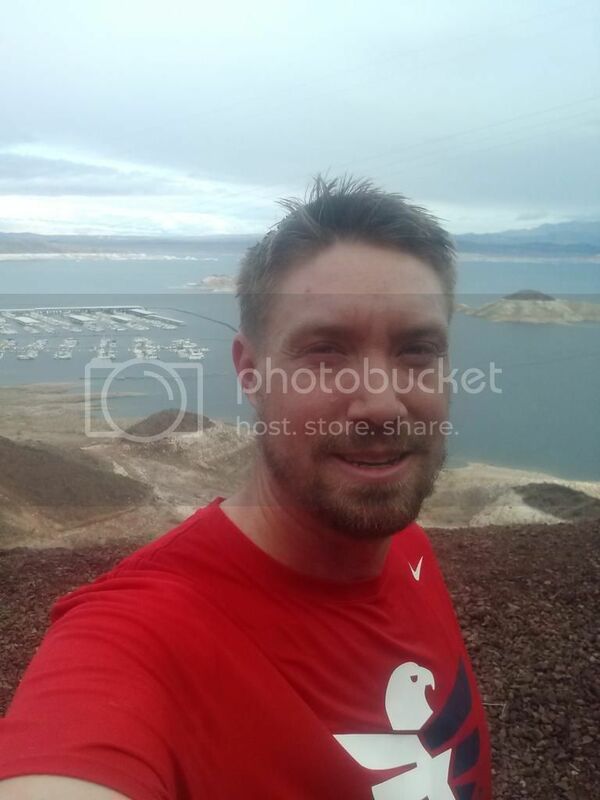 At mile 5ish is when you get the fantastic views of the Hoover dam. This is also where the turnaround point is. Miles 5 - 13.1: Finally downhill. Was able to really keep a good pace but even though it is downhill, I feel I might have used too much energy. I was feeling too good and having too much fun. I also had a lot of race left to do. I hit the half marathon mark at about 2hr 14min. Miles 13.1 - 18: Back up the hill. I was starting to feel the miles on my legs so I popped in my headphones to help me mentally grind out the climb. 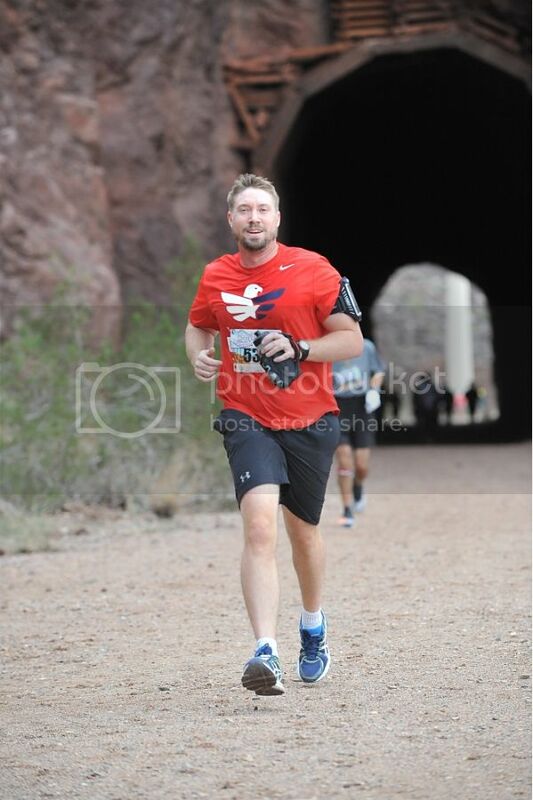 I was able to keep running and pass a few other runners. The views and the music really helped. Miles 18 - 26.2: Even running downhill was hurting. 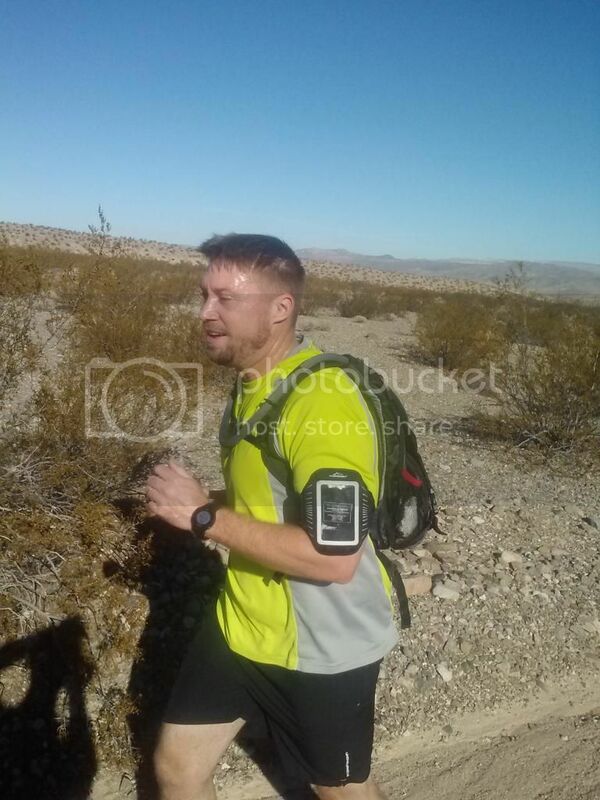 At about mile 22 my legs were toast. I had to resort to walking a minute and running a minute for a couple of miles. I was definitely hurting and my legs just did not have anything left. The last couple of miles felt like hours and I was never going to reach the finish line. When I reached the last quarter mile I finally was able to see the finish line. Mrs. Speedypants came up to me and we ran the last 100 yards together to the finish. I ate an Egg McMuffin breakfast sandwich for breakfast. Not ideal but it was better than nothing. For the race I carried water with me in my hand held water bottle so I could continually sip water. Even though it wasn't a hot day I know the importance of hydration. I also drank HEED (electrolyte drink similar to Gatorade) at all the aid stations. I also was relying on the Gels that they provided at an aid station on the course. I did make the mistake of not picking up a couple of gels when I passed the aid station the second time which most likely had an effect on my energy levels at the end of the race. I really feel like I had a great race. It was a much tougher course than I had expected but that just makes the feeling of accomplishment even more sweeter. The weather was perfect, the volunteers were amazing, the course was beautiful, and the entire event was great. I am very happy with my sub 5 hour finish and hope to be back in 2015 to do this race again. I have recently learned that I should always listen to Mrs. Speedypants. Actually, I am continually learning this but I seem to continue making the same mistakes. Early this month Mrs. Speedypants got her flu shot and suggested I do the same. I didn't. She suggested I double up on the vitamin C during the flu season. I didn't. When I got sick she suggested that I take a day or two off from work to rest and get better. I didn't. She got sick because of me (and was not happy about it) but do you know what happened? She followed her own advice and took a day off from work. Mrs. Speedypants was sick for no more than 48 hrs. I was sick and miserable for 8 days and still am not 100%. Some of that might be just because she is stronger and has a higher pain tolerance than me. As I have mentioned before, I am a big baby when I get sick. 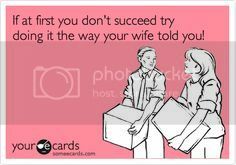 But I believe the lesson to be learned is that you need to get your flu shot, take care of yourself, and rest when you start feeling symptoms, and that the Wife is always right. Every year I believe that it is going to be different and yet every year I should have just listened to her advice. 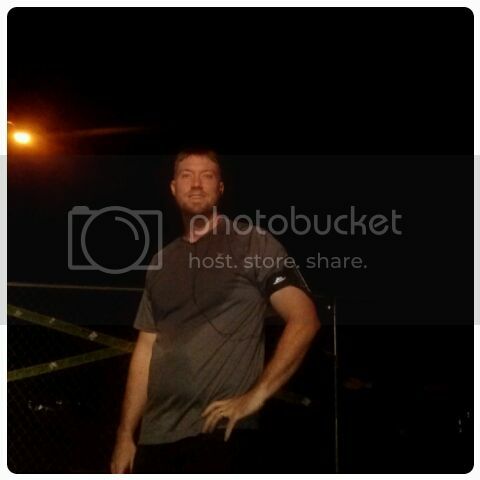 This week I have been feeling well enough to start running and working out again. It is nice to start getting active again but taking a week off feels like I took a year off. I am sure that it is because I am still recovering from my illness but it is a little unnerving that I am struggling on 4 mile runs when I have 26.2 miles to run in 17 days. So I will continue with easy runs this week and will reassess my ability and adjust my training plan after this weekend. This week I have been totally immobilized because I have come down with the sniffles. I have finally caught the cold that has been circulating the office for the past 45 days. Since I am a big baby when it comes to being sick I haven't done any workouts of any kind all of this week. 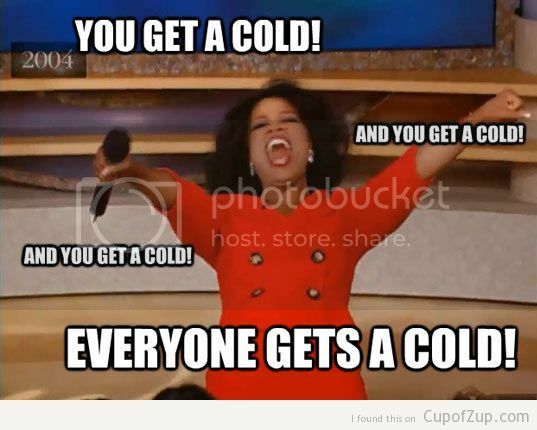 I am still going to work though so that I can reinfect everyone. That will teach all those dang sickos to get me sick. 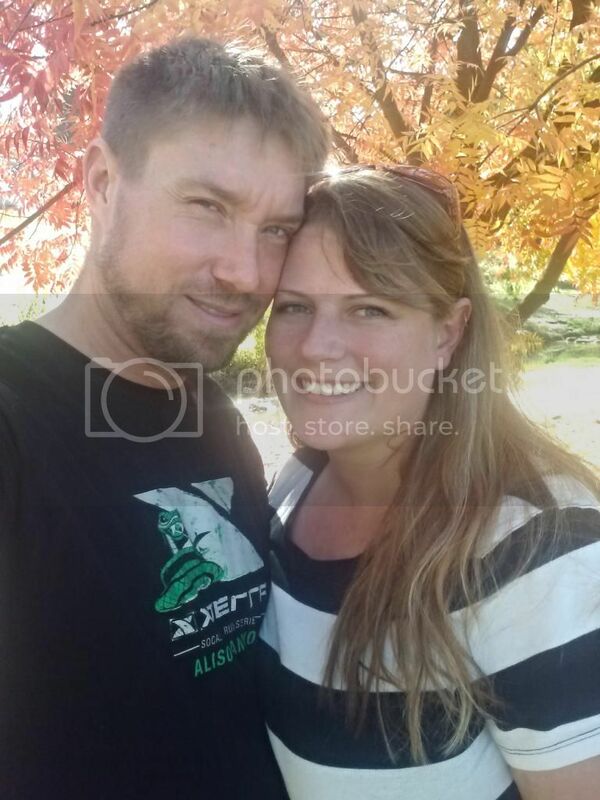 Before I started actually feeling the symptoms, Mrs. Speedypants and I took a little romantic trip to Fresno, CA. It is a fairly long drive through California's agricultural region, the Central Valley. Which is where we were able to really pass the time playing the game "What is that #*$& smell?". When we finally arrived in Fresno, we had a great relaxing weekend. Fresno is where Mrs. Speedypants and I started dating about 14 years ago. So we had fun reminiscing and spending time together. We visited the same park, and movie theater we had our first dates at. The weekend flew by far too quick. 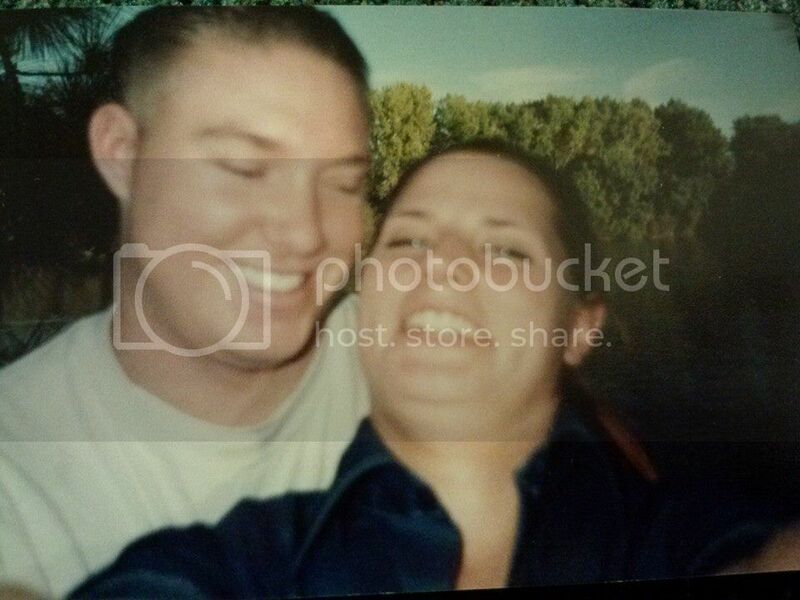 We started the Selfie craze 14 years ago. Sorry world. It took me 14 years to grow that much facial hair. I am still planning on going to the Turkey Trot 5k/10k this weekend. I guess my arrogance of predicting nothing less than a PR is coming to haunt me. Without running a week, gaining 10 lbs, and being sick, I think my new goal is to not DNF (Did Not Finish) the race now. AHHH!! I can't believe that my first marathon is exactly 30 days away right now. Time is flying and I am starting to worry about whether or not I am going to get enough training in before then. I am sure everyone feels that way before their first marathon. But my training so far I would have to say has been very up and down. 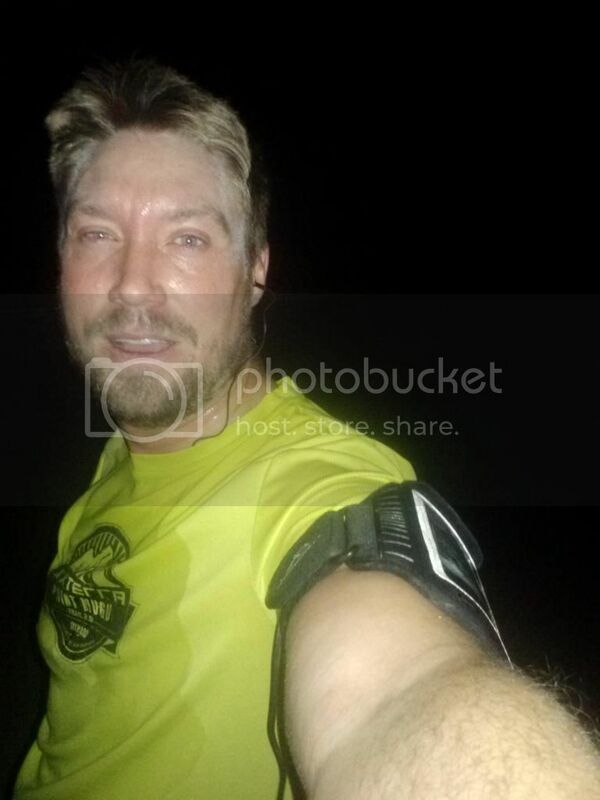 I have had a few long runs of 18+ miles, but they were not exactly confidence building runs. After I reach 17 miles I feel like death and I have concrete blocks attached to my feet. 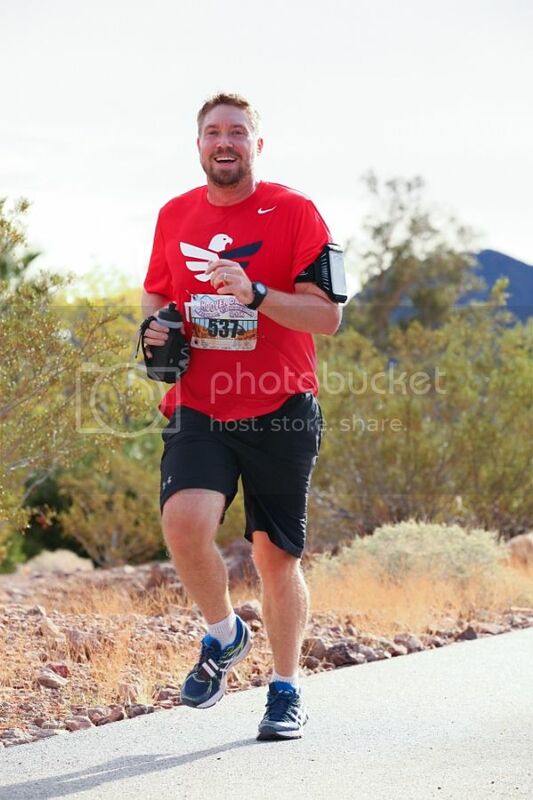 26.2 miles is still unfathomable for me. Next couple weeks I will be getting back to the long runs again and I am really hoping that they start to feel a little easier. If not, I just might have to give up running and find an easier hobby. I have started making plans and booking my room in Las Vegas for my marathon that is coming up. I realized that I have been to and done enough things wrong in Las Vegas that I might actually have some tips and tricks to share with all of you. So stay tuned for a future blog post about that. I do have a Turkey Trot 5k/10k coming up also. I still am undecided on which distance I want to PR in yet. 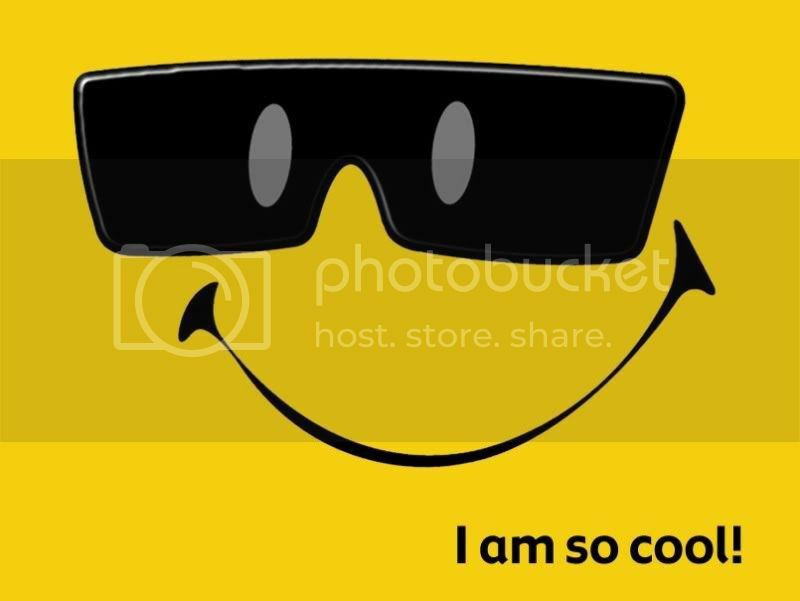 Because I am just that good! The video got me all pumped up and wanting to enter the Western States lottery that is currently open. I actually almost entered but with my luck I would beat the odds and be selected and I am easily a couple years away from being ready for 100 miles. So I wisely decided not to, or did I? Muahaha. Ok. I better end this post here. It is already random enough. I guess I just am glad that the weekend is finally here. Woohoo. 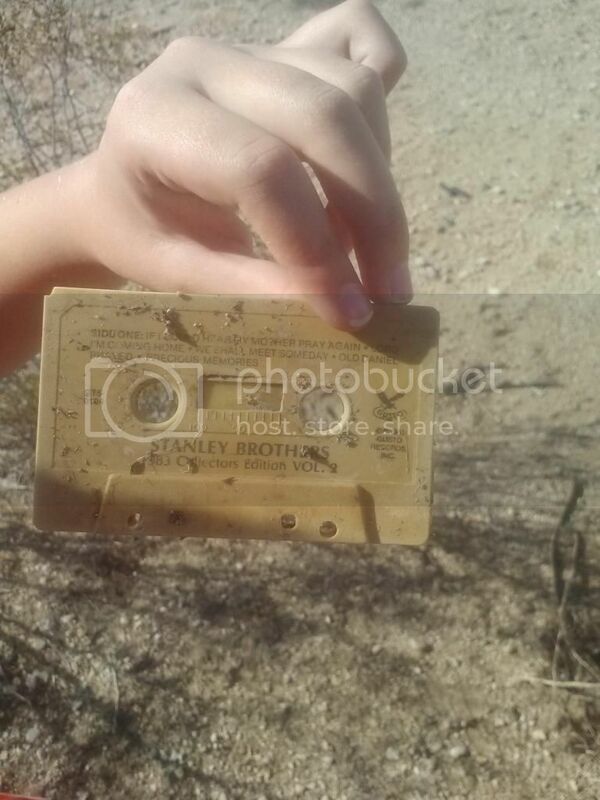 Who lost their Stanley Brothers cassette? I know you all are guilty of liking their 1950 song "Man of Constant Sorrow" which can be heard in the film "O Brother, Where Art Thou?" Morning darkness cannot stop me and my training. OK, really. I am ending this post. Have a great weekend. 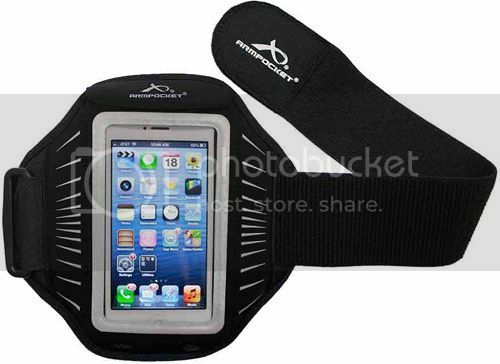 Today I am going to tell you all about my new must have running accessory, an Armpocket armband. Many of you have probably been running and have gotten along just fine without an armband so far. Even I have been running for a few years now and have survived just fine without one. That is until I started training for my first marathon coming up in December. I don't know about you, but long runs are really hard. After suffering through a few long runs and reaching new distances, I soon realized that I wanted to distract myself with music and have my phone available to call Mrs. Speedypants to pick me up if I needed. 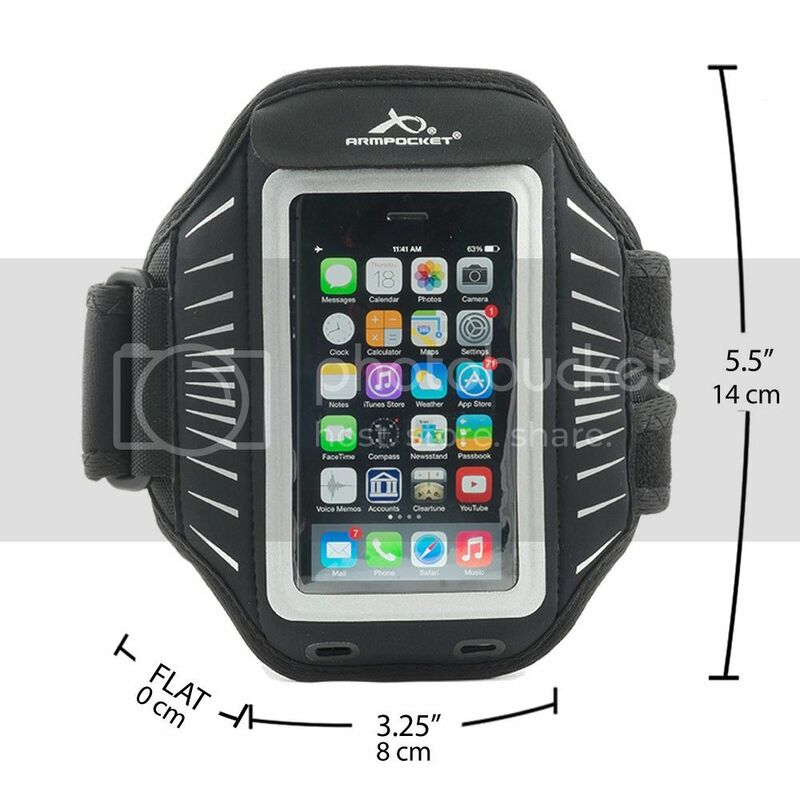 My runs would be so much better and safer if I just had my phone on me. Armpocket to the rescue! 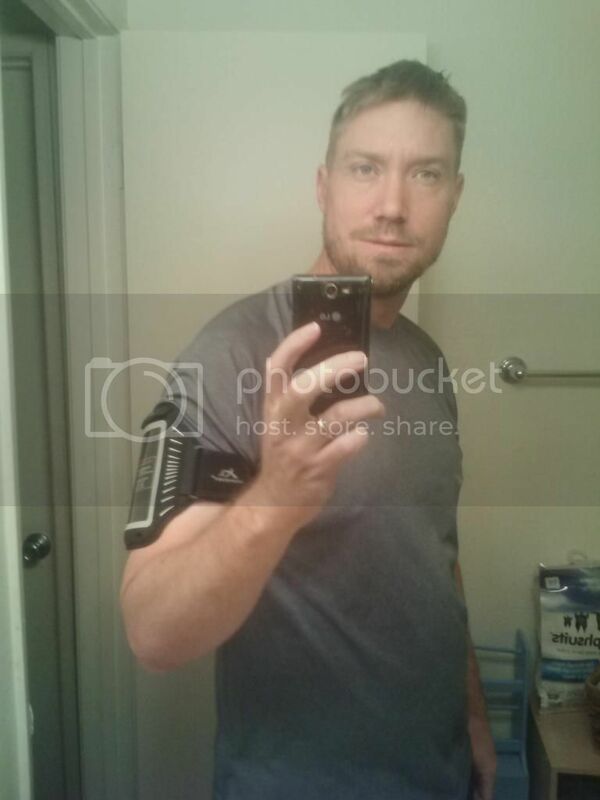 I was contacted by Armpocket to see if I would be interested in trying one of their armbands. I checked out their website Armpocket.com and realized that their products were exactly what I was looking for and needed. Couple days later I received my Armpocket Racer. It is one of their slimmest and lightest models that they have. Which was great because I knew it would take a little bit of time to get used to having something strapped to my arm. They have a multitude of different armbands with different size pockets, and lights, and colors. But I am boring and just wanted a nice slim, simple, black armband that would fit my phone, car key, and a little money. Water resistant - Very important for me because I sweat a lot. Slim and light - I seriously do not notice or feel it on my runs. Comfortable - The strap is comfortable and the band has memory foam so it does not slip or move around on my arm without being tight. Touch window - The window lets me easily see my phone screen and is touchscreen compatible. So it is very easy to quickly skip songs, or check text messages without stopping mid-run. Price - Although my armband was free for me. All the prices on the their website are very reasonable. Overall I am very happy with my Armpocket armband. I wear it on all my runs now, even if I am not listening to any music. It has become just as important to me as my Garmin watch and my RoadID bracelet out on my runs. Disclaimer: I was given an armband to review. All opinions are honest and are my own. Hello everyone. I hope you all had a wonderful Halloween weekend. October really flew by fast for me. 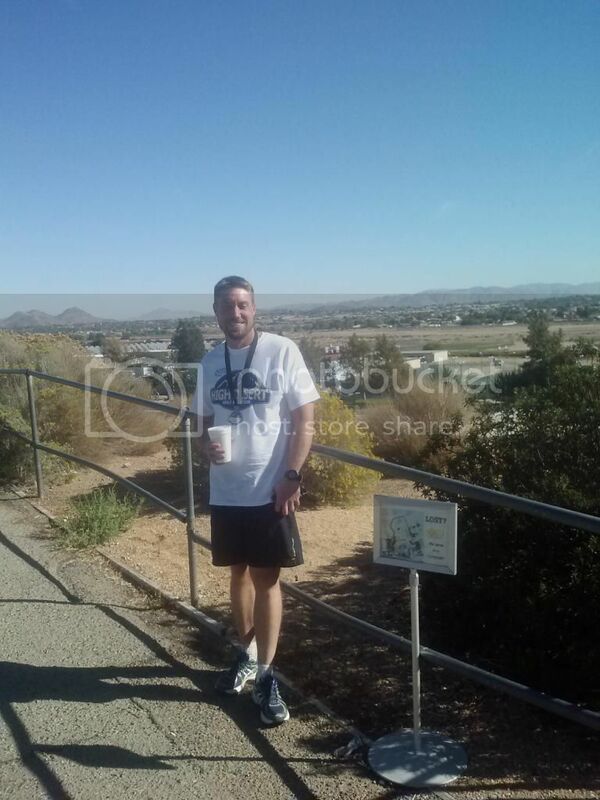 Probably because October was the real start of my training for the Hoover Dam Marathon. Actually getting ready and training for my first marathon is starting to get exciting as my long runs keep getting longer.Which also has been making it start to feel more real and the distance of a marathon is has become more intimidating than ever. I don't know why I never thought 26.2 miles was far before but I am really respecting the distance now. OK, so here is the month in pictures and numbers. 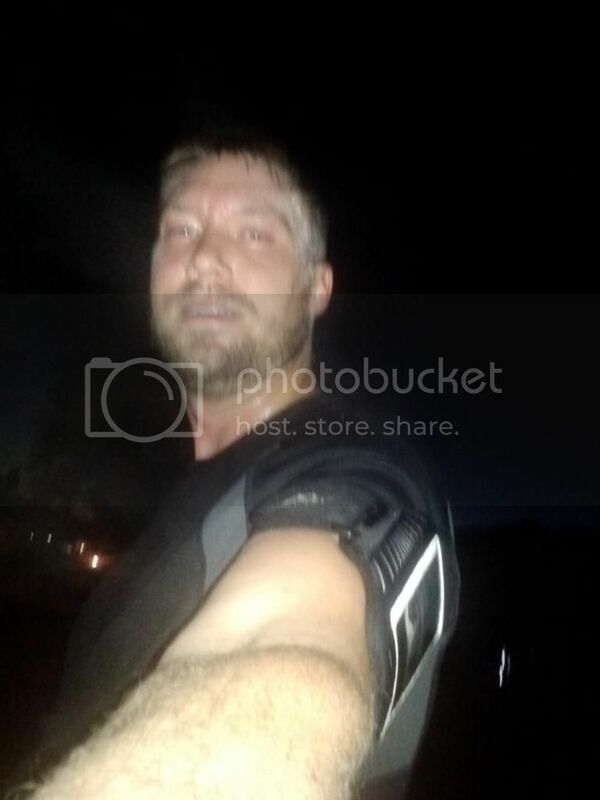 Running and sweating in the crazy early hours of the day. The first winter air finally arrived. Elevation Gain - 7,190 ft.
Just noticed my eyes are shut. Can I ever take a decent photo? lol. I don't know where all the days have gone, October was gone far too quickly if you ask me. Anyways, the first cold air of the year finally arrived and so the weather has turned into the perfect running temperature. Hopefully it stays that way for a while. In other news, I actually did pretty well in my cross training finally. Woot! I know I have been complaining each month how I did not do any but finally I actually stuck to an easy plan. 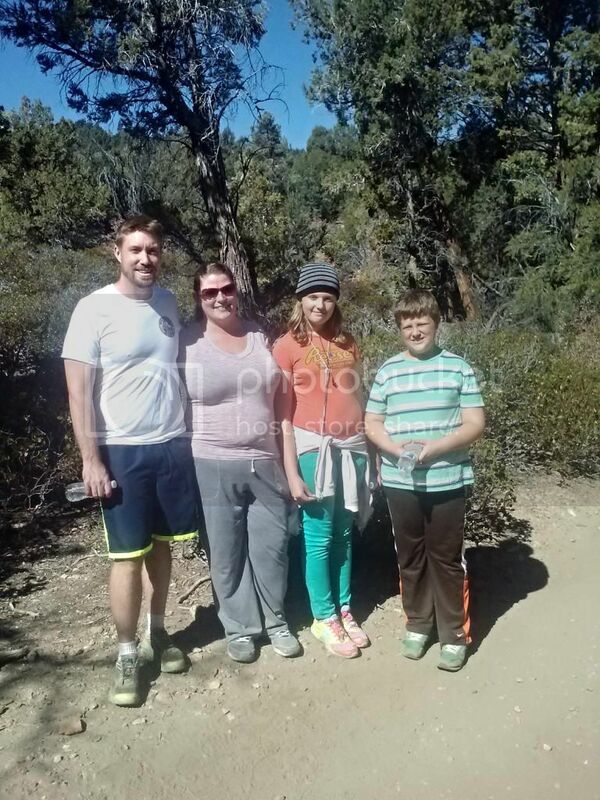 I did lots of foam rolling, push ups, stationary bike, sit ups, lunges, and even a good family hike. Now I just really need to keep the momentum up as I get closer and closer to my first marathon in December. November means Thanksgiving dinners, Christmas shopping, and cold weather. So it will be tough to keep my awesome training going, especially because I refuse to run on a treadmill. I do have a small turkey trot race coming up this month which I hope will help me stay motivated. I also have received my Armpocket and have been loving it so far. I will have to put together a review of it shortly for all you awesome readers. Elevation Gain - 78,609 ft.
Stay off my running paths! OK, maybe my head is too big. Just maybe, I didn't start the local running craze. To set the record straight, for the most part I actually like that I am seeing a lot more runners around. Eventually I might actually meet some of them and make a friend. There are a few things that I am going to have to get used to now though. 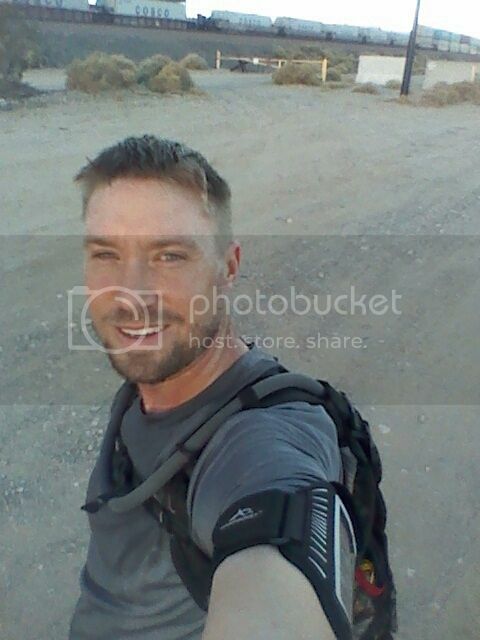 First, I can't just go run shirtless in the desert to work on my tan without being seen. Secondly, it can get quite crowded at the track sometimes and I have to be prepared to not be able to do speedwork, unless I want to do zig-zag dashes between strollers, and walkers. So there you have it. I may or may not be the trendsetter I think I am, but people are getting out and running and working on getting healthier. Which is a very good thing. Has anyone else experienced the increase of running popularity?